The SMA Crossover Pullback system is off to a good start this quarter as it locked in a big win on Cable. Here’s how the rest of the trades turned out. 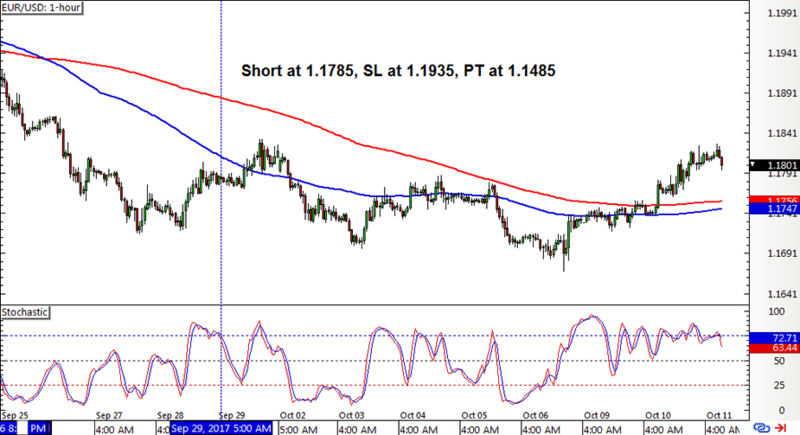 After hitting its full profit target a couple of weeks back, GBP/USD completed its downward crossover, followed by a stochastic pullback signal. 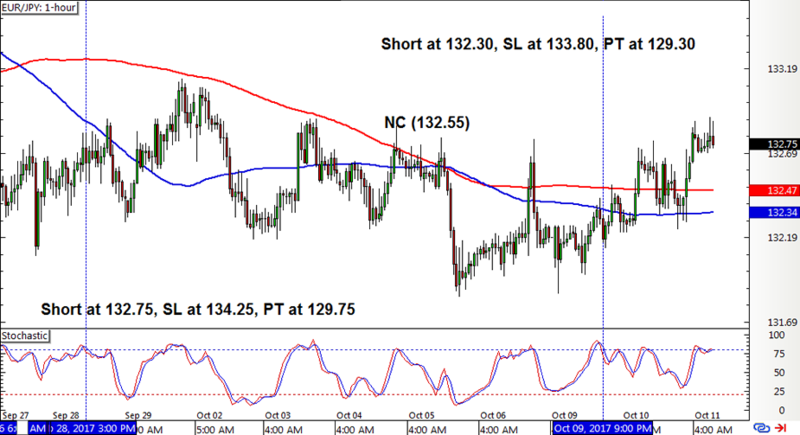 This short position made it all the way down to the profit target as bearish momentum stayed in play in the first week of October. 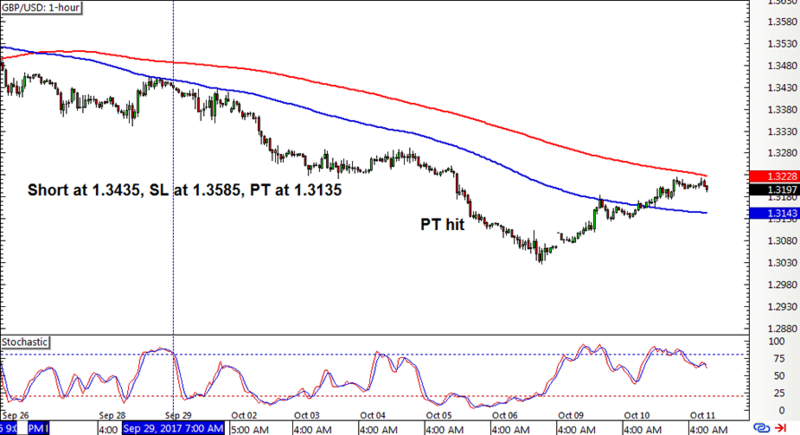 EUR/USD also formed a downward crossover, which was followed by a stochastic pullback signal to short. However, this pair moved mostly sideways and appears to be pulling up to form a new crossover later on. Too bad the trailing stop hasn’t been activated yet! Last but certainly not least is EUR/JPY, which hit its profit target on a long position at the end of September. A bearish crossover and short pullback signal materialized, but this had to be closed on a new crossover for a small profit. This new crossover barely made any headway before turning right back down and generating another short pullback signal. With that, the SMA Crossover Pullback strategy ended up with a 320-pip win or a 2.13% gain on the account, kicking Q4 off on a positive note. I’ve seen more than the usual share of positions hitting their full profit targets in the latter part of September until the first week of this month, so could this be a sign that trends are gaining more traction these days? I sure hope so! While this mech system was able to rake in gains for Q3 2017, its performance lagged way behind that of the previous quarters. That’s why I’m keeping my robot fingers crossed that it pulls through with bigger wins and less choppy days for the last stretch of the year. Stay tuned!